What a beautiful way to start my day. How beautiful! I love the colors. Wow - clover! Who would have thought? 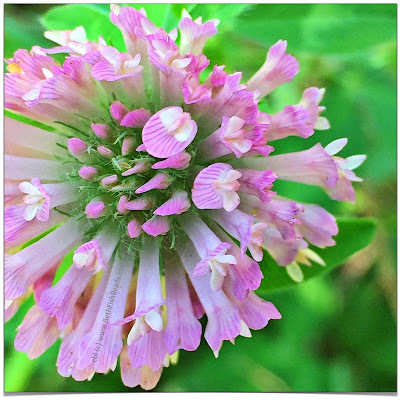 I've never seen clover like that - it's gorgeous! awesome macro and i adore your watermark! Wow! Like a burst of flowers. Wow! Lovely capture. I love the brightness w.o being harsh! Simple stunning! Oh, such a happy color! Love that bright green contrasted with the delicate pink! I was just about to say the same thing Trish said! The bright green contrasts so beautifully with the pink. Gorgeous shot.